The Tran EP is a collection of songs from the 2nd era of the band, just after Jonny and Macy rebooted Aimless as a 3 piece, recruiting the talented Eric Kuhn (of Silian Rail) to play drums. 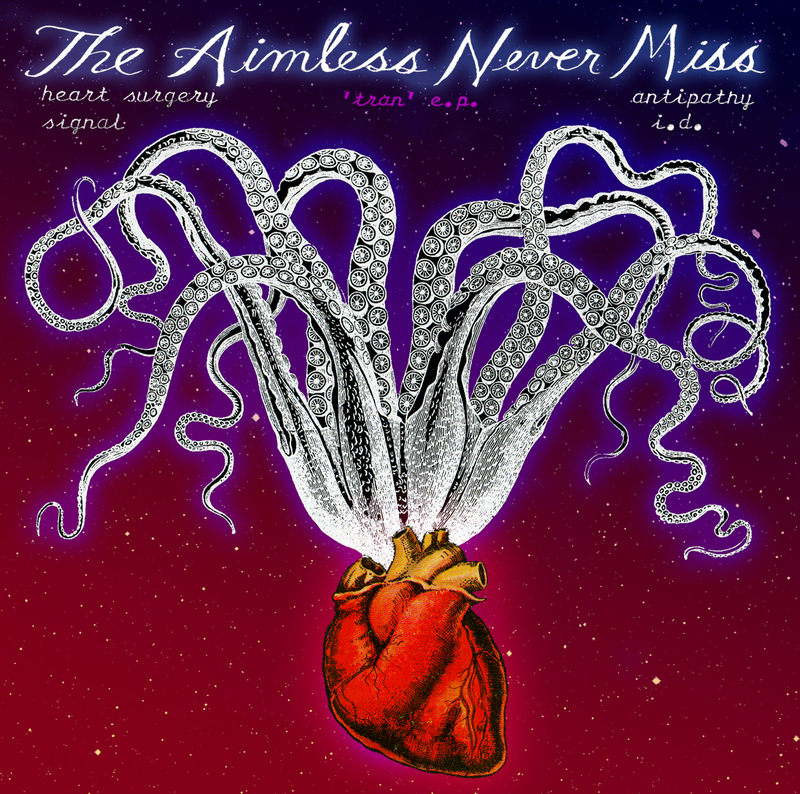 In an ironic twist, the 4 song EP was recorded by none other than Aimless' previous drummer, Winston Goertz-Giffen, in their shared studio rehearsal space in downtown Oakland. Mixed by Latimer and Eric Peters, and mastered for tape by Daniel McKenzie, it was released by the Bay Area’s 500 Records, and as a small batch of cassette tapes with 3D art and glasses. Only some 200 physical copies were made.